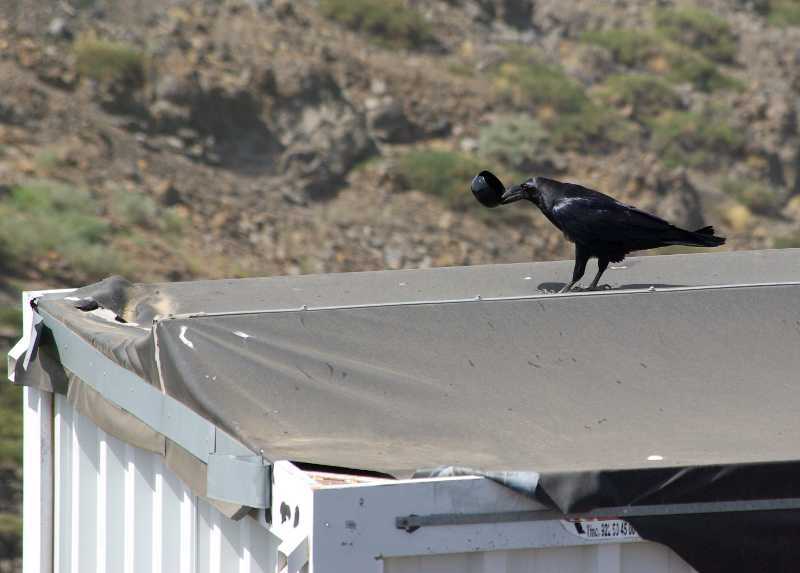 On Saturday I was in the Roque car park selling books from the boot of my car, when the ravens turned up, begging for food. That’s why I keep cat food in the car, specially for them. 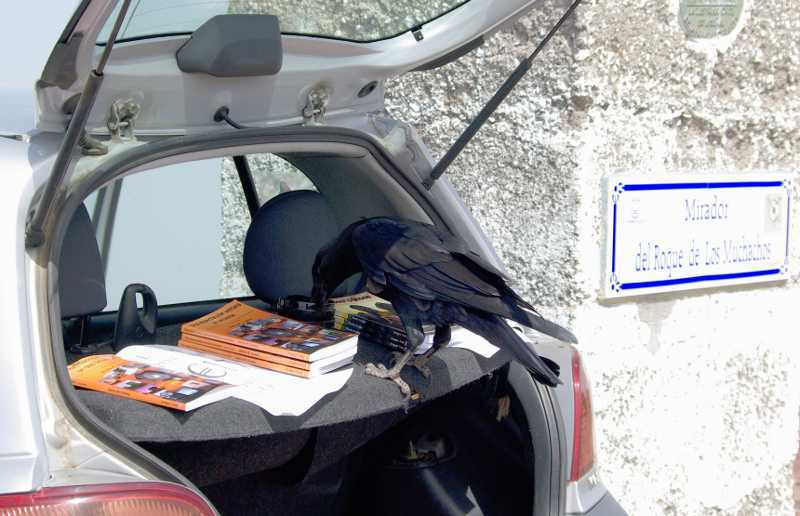 Then they got curious about the boot of my car and the books. I started to get a bit nervous when s/ze took an interest in my pot of change. That’s the black pot s/ze’s having a nosy at in the photo. But I always put the bank notes in the lid, and the lid under the pot full of coins, and I reasoned that the pot would be too heavy for the raven to lift. Talk about being wrong! It not only lifted the coin pot, it flew off with it! And then landed with the pot on the roof of the toolshed beside the bus stop, where s/ze played with it a bit and flew off. 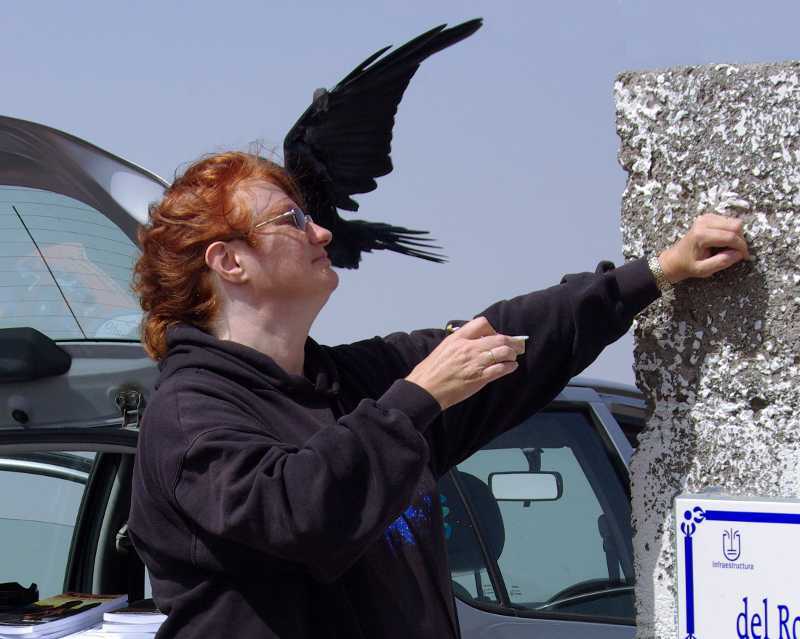 The park ranger helped me get it down, but it was empty, so I searched under the raven’s flight path and found 3.50€. I was rather low on change and there was maybe 6€ in there, so I’m only down about 1.50 €, which is worth for the story. I’m just really, really glad it didn’t fly off with the bank notes. That would have been about 50€, which is serious money for me. Seems a mean trick when you’re so generous with the food for them!